There truly is an art to being here in this world, and like any art, it can be mastered. In this elegant, practical book, Angel Kyodo Williams combines the universal wisdom of Buddhism with an inspirational call for self-acceptance and community empowerment. Written by a woman who grew up facing the challenges that confront African-Americans every day, Being Black teaches us how a "warrior spirit" of truth and responsibility can be developed into the foundation for real happiness and personal transformation. With her eloquent, hip, and honest perspective, Williams—a Zen priest, social activist, and entrepreneur—shares personal stories, time-tested teachings, and simple guidelines that invite readers of all faiths to step into the freedom of a life lived with fearlessness and grace. 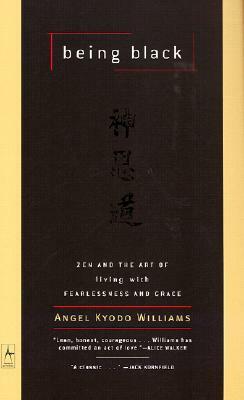 Angel Kyodo Williams is an ordained Zen priest and founder of the Urban Peace Project. She has been featured in publications such as The New York Times, and Essence, and is a columnist for Ms.